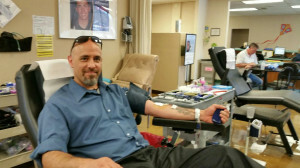 GFP Broker/Owner Aaron Ross giving blood at the Red Cross. Aaron has a rare blood type so the Red Cross asks him to give a double dose every four months on their ALYX machine. 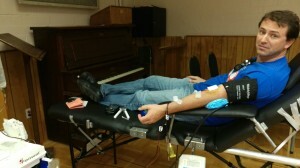 Anthony DiSciullo giving blood at the Red Cross.